UNESCO defines cultural diversity as "a defining characteristic of humanity" and that's why it represents "the common heritage of humanity and should be recognized and affirmed for the benefit of present and future generations". Atlas of Humanity was established in line with this thought and translates it into a collection of images and stories from around the world, thanks to the work of photographers and reporters from all corners of the globe, often invisible to the general public, sometimes due to the destructive and obscurantist policies of certain governments. Art in All of Us (AiA) is a not-for-profit organization based in Brussels and New York City. AiA promotes tolerance and cultural exchange throughout all the 192 UN member countries, through art and creativity activities. Art in All of Us endeavors to enrich the lives of children by inspiring them to create a portal through which they can look at each other's lives in a cross-cultural context. Art in All of Us was founded by Anthony Asael and Stephanie Rabemiafara in 2005 in Belgium. They developed a strong team and an extensive global network of NGOs/Foundations in order to support AiA's cause. Children At Risk Foundation is a politically and religiously independent charity registered in Norway. The work was originally directed towards helping children on the street, but today the main focus is on preventing the children from ending up on the street in the first place. The KolibriProject works with children and adolescents at risk in the favelas of São Paulo, Brasil – poor areas where crime and drugs flourish, and where many children end up on the street. The book 'Celebrate African Children' is a result of an international photographic competition designed to celebrate African children and to promote photographers. The best photographs were chosen by a panel of judges, and compiled in the book Celebrate Africa Children. Over 2,000 photographs were entered by more than 50 photographers from over 30 Countries. This book includes African Proverbs from many countries in Africa. It is available on D'Arcy Publishing. "Africa leaves nobody indifferent... There is something in the dwellers of this part of the world that pierces your soul and you can never get rid of." 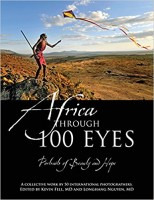 This book is a collaboration by over 50 photographers from 20 different countries throughout the world who have lived in, worked in, or deeply experienced the African continent and its people and have been forever changed by it. During the making of this book, hundreds of thousands of photographs were reviewed, in search of portraits that evoked a great sense of profound emotion and created a mosaic of strength, hope, and beauty. The profits from this book will be donated to the United Nations World Food Programme, to support their effort in providing food to African school children. Tiyende Adventure Tours is a new tour operator in Malawi. The young and reliable team from Lilongwe offers tour guides to places of interest, village tours, people to people communication, viewing of Gule Wamkulu, accommodation, transports and campsites. Warmheart Travels is a tour operator located in Lilongwe, Malawi. The mission of Warmheart Travels is to let their customers experience the culture and meet the people of Malawi, understanding what Africa is really about. The director and main engine behind Warmheart Travels is Khama Chowa. He studied travel and tourism and is an experienced tour guide and travel writer. If your are looking for off the beaten tracks or unconventional trips Warmheart Travels is the perfect tour operator. South Expedition Africa is a tour operator company found by Nathaniel Taffere. The tour operator proposes a wide range of services and activities in Ethiopia, Kenya & Tanzania: from sight-seeings, boat excursions, bird watching, national park visits, trekking, safaris and game drives, fishing, great night dance shows to cross boarder tourism in East Africa. You can reach South Expedition Africa on the website or on the Facebook page. Paschal Phares is a guide with great experience and knowledge about Ukerewe Island, Ukerewe is the largest island in Lake Victoria and the largest inland island in Africa. Paschal is from the village Busiri in the western part of Ukerewe Island and he has been a guide in Ukerewe since 2010. The main attraction of Ukerewe is the authentic experience of the deeply rural life. Paschal is well known for his excellent tours and shows many different things that the island offers in a nice and convenient way. Read more about Paschal on Safari Junkie. Kyaw Bo Bo Han (or short: Bobo) is a 32-year old licensed tour guide based in Yangon, Myanmar. His services among others are ticketing for transportation, drawing itineraries for trips, booking for accommodations all around Myanmar and sharing Myanmar culture & traditions. He is definitely the right guy for trips off the beaten tracks. Especially Yangon can be an exciting place if you have enough time to explore. I liked the way we did our trip in Yangon: enter a bus and experience the authentic life in Yangon. Most of the tour guides recommend to start the trek in Phongsaly (Laos) to visit the ethnic minority group of the Akha people. But there is an alternative: it is possible to start the trek in Bountai instead of Phongsaly. In Bountai is a small tourism office, and Bounlod Phanthavong is a great trekking guide and can take you to treks to Akha Loma, Akha Mouchi and Akha Eupa people. Bountai is a small town on the way from Oudomxay to Phongsaly. The trek starts in Bountai by a songthaew to the first Akha village. From there a hiking trail, sometimes pretty steep, leads from village to village and ends at the main road, where it is possible to catch a bus to Phongsaly or Oudomxay. For more information ask the guide Bounlod. Let's Travel Somewhere is a new project by Nisa Maier. She wants to capture the essence of every country on the planet through stunning photographs and gripping stories. Nisa loves to travel, take photos and share her experiences and inspirations on her blog Cookiesound is travelling. She believes that a single traveller can‘t live to see it all. That‘s why she started to collect and share inspring photojourneys by striking travel photographers on the new website Let's Travel Somewhere. Photography Tours is a Cape Town based company that specializes in photography tours for private individuals and groups. They use qualified Theta registered photography guides who know the best places in Cape Town and can help to teach more about photography or show the best places to photograph. They also offer private photographic safaris lead by James Gradwell who accompanies the customers on a highly personalized tailor made tour.